If you want to drive an affordable new sedan that brims with tech and safety features, opt for the 2019 Toyota Corolla! 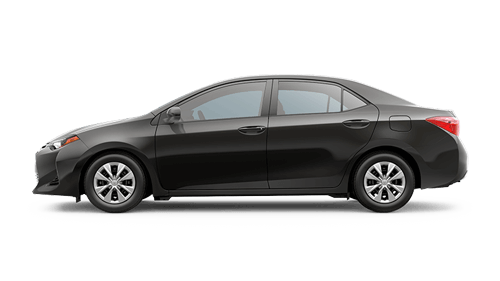 With an available Entune™ Audio system, large touchscreen display and integrated backup camera, plus a standard Toyota Safety Sense™ P safety system, the 2019 Corolla packs impressive features for its competitive price tag. Car buyers near West Point and Starkville, Mississippi, are invited to make their way to our new and used Toyota dealership in Columbus to test drive this new 2019 sedan. You can drop by our conveniently located auto dealer for a customized shopping experience or can begin your new car search here on our website, where our entire new Toyota inventory is available. You can also apply for our Carl Hogan Toyota financing services or browse the latest Toyota lease and finance offers here on our site! Premium Available Amenities Highlight The Affordable 2019 Corolla. Hit the road behind the wheel of a sedan that features a 1.8-liter DOHC engine that boasts Dual Variable Valve Timing with intelligence and a Continuously Variable Transmission with intelligence and Shift Mode, head to Carl Hogan Toyota to meet the 2019 Corolla! Our Toyota sales staff will set you up with a test drive so that you can experience this Front-Wheel Drive vehicle for yourself. From its independent MacPherson strut front suspension to the Electric Power Steering and Ultra Low Emission Vehicle II rating, the 2019 Toyota Corolla is the new sedan you've been looking for. Upgrade to one of these models with ease, use our dealership's website to value your trade-in right from the privacy of your nearby Starkville, MS home. Our team will be in touch shortly to let you know if your car's value can be applied toward the purchase of one of our 2019 Toyota Corolla sedans for sale, as well as any financing options that are available to you. Step up to the driver-assistive vehicle that you deserve, team up with Carl Hogan Toyota today!